No Exit will be kicking off their 2016-17 concert season with an evocative presentation of sonic landscapes dripping with color. 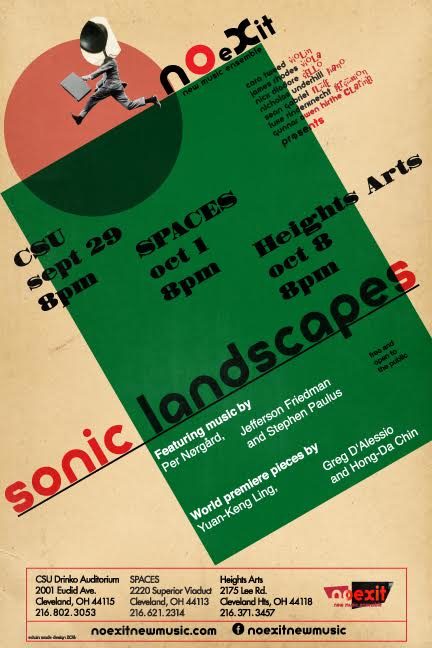 The program will feature music by Per Nørgård, Stephen Paulus and Jefferson Friedman, with world premiere works by Hong-Da Chin, Greg D’Alessio and Yuan-Keng Ling. This is something to be experienced folks! Free and open to the public.